Analysis: The phrase ¨solider fit¨ can refer to Cassio being one of the best soldiers Othello can have due to his loyalty and determination. By mentioning Caesar, it makes Cassio more than qualified because Caesar is supposedly one of the great emperors, but if we remember back in that time Caesar was stabbed in the back by his best friend, someone he trusted with his life yet his life was taken by that one person. That bring it back to Iago, he is planning everything in order to do the exact same thing and the thing is Othello doesn’t even know, itś more than likely the last person he would think of. So by Iago saying Cassio is a soldier fit to stand by Caesar he’s saying Cassio is so good at what does that even Caesar would have him, yet Iago is like the best friend stabbing Cassio in his back by causing Othello to take his reputation away. Cassio has no idea of the whole thing because he would consider Iago a trusting and honest friend. 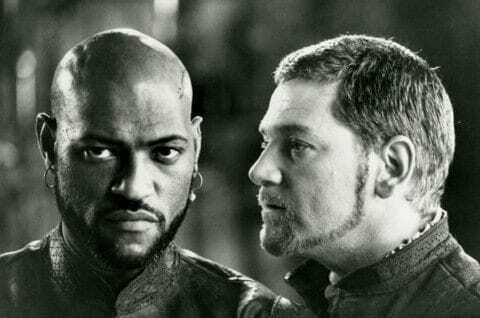 Close Reading of Othello by Stasia is licensed under a Creative Commons Attribution-ShareAlike 4.0 International License. Voice of DesdemonaWhy does Shakespeare Matter?